Makers and electronic enthusiasts looking for a new DIY project to keep them busy over the weekend may be interested in this awesome nixie tube watch which has been featured on the Hackaday website. 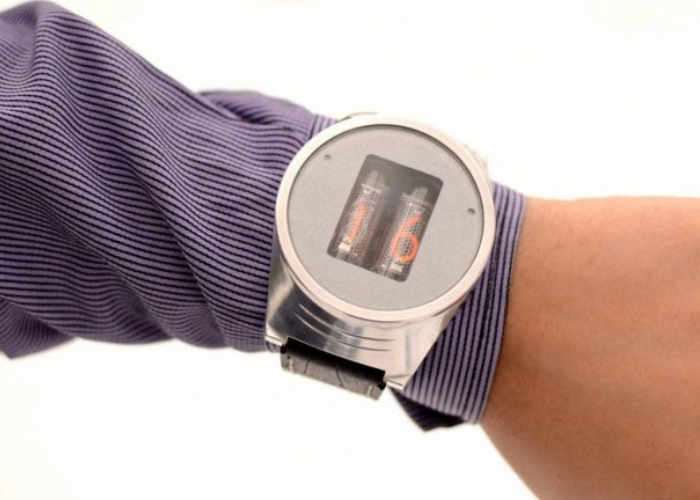 The very unique wristwatch is equipped with a pair of nixie tubes powered by 200 Volts thanks to its 400mAh LiPo battery, which has been combined with an accelerometer to turn on the display at the flick of a wrist. Check out the video below to learn more about the build, or jump over to the Hackaday website for more details via the link below. When you stuff a pair of Nixie tubes into a wristwatch the resulting timepiece looks a little like Flavor Flav’s necklace. Whether that’s a good thing or not depends on your taste and if you’re comfortable with the idea of wearing 200 volts on your wrist, of course. As a build, though, [prototype_mechanic]’s watch is worth looking into. Sadly, details are sparse due to a computer issue that ate the original drawings and schematics, but we can glean a little from the Instructables post. The case is machined out of solid aluminum and sports a quartz glass crystal. The pair of IN-16 tubes lives behind a bezel with RGB LEDs lighting the well. There’s a 400mAh LiPo battery on board, and an accelerometer to turn the display on with a flick of the wrist. It may be a bit impractical for daily use, but it’s a nicely crafted timepiece with a steampunk flair. Indeed, [prototype_mechanic] shows off a few other leather and Nixie pieces with four tubes that certainly capture the feel of the steampunk genre. For one with a little more hacker appeal, check out this Nixie watch with a 3D-printed case.